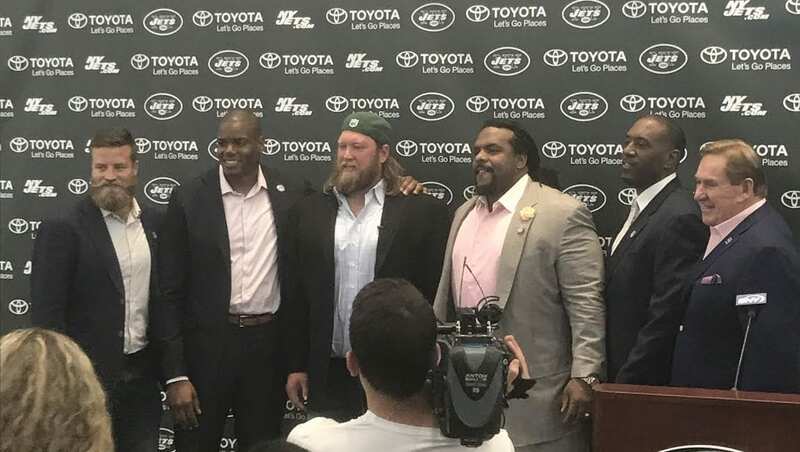 FLORHAM PARK, NJ – Nick Mangold was – by every definition – a throwback player who played his entire 11-year career with only one team and now number 74 will never be worn again by a Jets player. 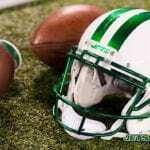 One day the Jets will retire Mangold’s jersey and he will enter the Jets Ring of Honor with his friend and teammate D’Brickashaw Ferguson, the two players were drafted in the same year – and the same round – and spent their entire careers with the Jets, but Ferguson already got his send off. Today was about celebrating the career of Nick Mangold. Mangold signed his one-day contract and gave a speech himself all with his understandably shy and adorably cute daughter in his arms. Mangold said he’s not sure what’s next for him in life, he said it felt weird to be retiring and ending his career at only 34-years-old, so he plans to take some time to think about what’s next for him but for now he’s going to focus on spending time with his family and being a Jet for life. With Woody Johnson still in the U.K. serving as Ambassador Christopher Johnson continued to play the role of owner admirably and he absolutely nailed his speech, giving Mangold the sendoff he deserves. “I remember when we drafted him, with the 29th overall pick in 2006, we knew he was smart, we knew he was tough and we knew he would give us everything he had on the field,” Johnson said. “What we did not know was how much he would embrace our organization and this community. I have vivid memories of him running out of the tunnel wearing a First Responders hat, carrying the American flag or serving as Santa Claus for a charity event, best Santa Claus ever by the way.